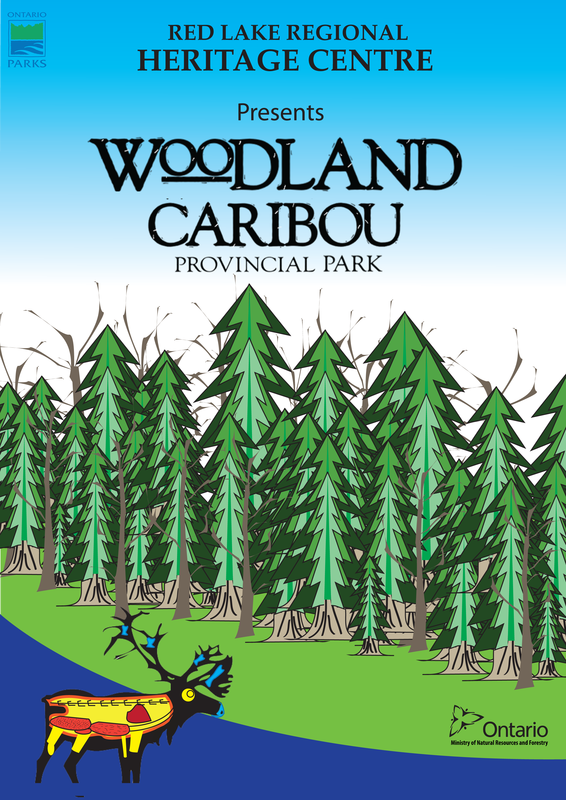 Visitors had the chance to come in and explore Woodland Caribou Provincial Park like never before! They were enthralled with the amazing natural and cultural wonders that make the Park a major tourist destination in Northwestern Ontario. This project was created in partnership between the Red Lake Regional Heritage Centre and the dedicated staff at Woodland Caribou Provincial Park. We would like to thank everyone who helped make this exhibit possible including but not limited to the Ministry of Northern Mining and Development; our devoted volunteers, and those people that came in to share their knowledge, support and stories about the park. Lately, everyone is talking about the environment and using words and phrases like global warming, climate change, greenhouse gases, severe weather events, and melting ice caps. Do you ever wonder exactly what they are talking about? Climate change refers to general changes in climate patterns, including temperature, precipitation, winds, and other factors. The weather in Red Lake has changed over the last few decades and some residents who have lived in Red most of their lives have noticed significant changes. Like most weather, there are warmer and colder periods, but the temperature is gradually increasing. Want to learn about the history of Climate Change? Maybe about how climate change affects those people in the far north? Perhaps you would like to know about the local effects of climate change? Found out all this and more at this year's winter/spring temporary exhibit! The exhibit features two pop up exhibits from the Museum of Nature. Funding to acquire these exhibits was provided by Canadian Heritage. The Red Lake Regional Heritage Centre once again teamed up with the Red Lake Arts Council to put together an art show of local artists. The exhibit built on the success of 2015's art show. This year we had 18 artists display their work. The opening night was an amazing show of support for local art as 125 people visited the show that night. Many more followed in November and December. We look forward to next year's Art Show! Created with the help of the Ministry of Natural Resources and The Red Lake Indian Friendship Centre. Fish Stories was an exhibit created to look at Red Lake’s fishing history. It tackled First Nations fishing techniques and the importance of fishing to their culture in the past and in the present. The exhibit also looked at the role fishing played when the first prospectors came to Red Lake, when the first mines were erected and early commercial fishing enterprises. Finally, the exhibit focused on fishing as a past time and as a basis for tourism up in the Red Lake area. Stay tuned for Fish Stories online! 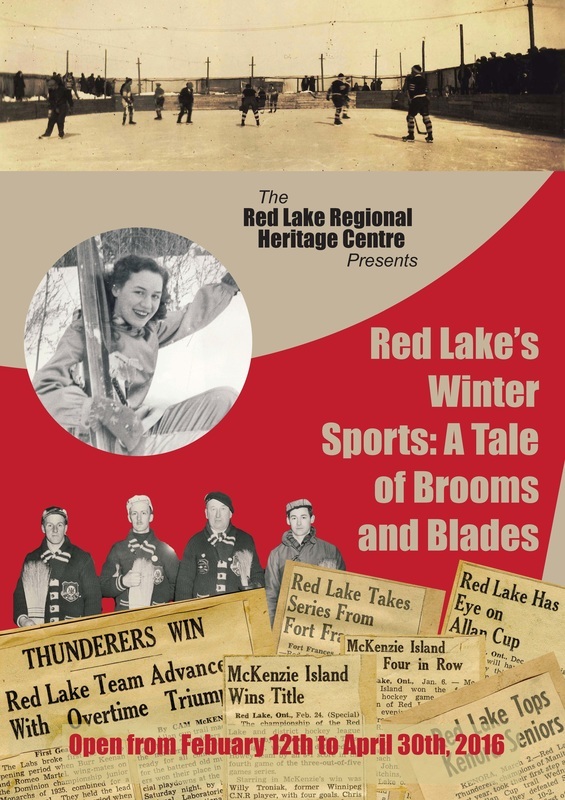 A look at Red Lake's long history of winter sports, A Tale of Brooms and Blades, explored hockey & curling in the early days, the emergence of the cross country ski club, snow shoeing as both a means of transportation & enjoyment, Snow Snake (a traditional First Nations's Game), the rise of skating and much more. The exhibit opened on February 12th and stayed open until April 30th, 2016. Curated by Lisa Hughes and Morgan Woodhouse. 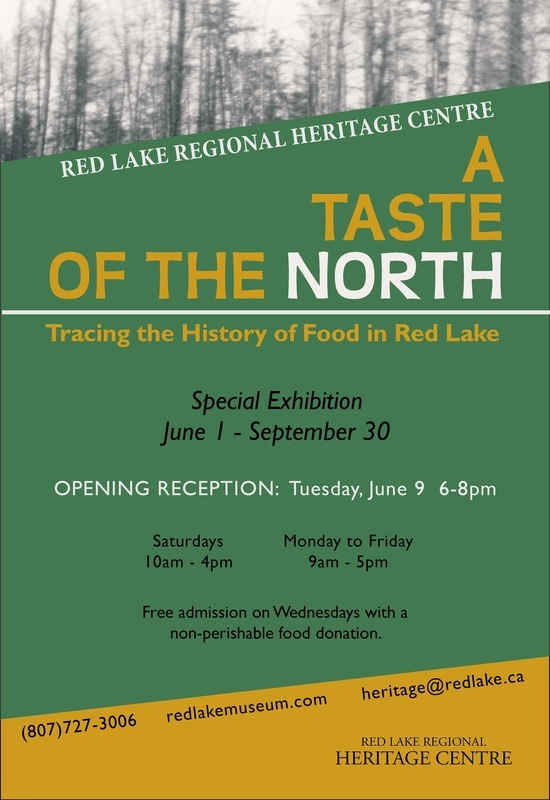 ​A temporary exhibition on the history of food in the Red Lake region; from the First Nations, to prospectors and settlers, to today. The exhibit explores themes from our past and present, including hunting, fishing, and trapping, foraging, gardening, meal preparation, local restaurants and stores, and our many food-related traditions. Interpretive panels, artifact displays, multi-media elements, and interactive activities demonstrate the unique culinary lifestyle that has developed in the North. Curated by Shannon Bateman. Admission was free admission on Wednesdays with a non-perishable food donation. An exhibition on Red Lake's archaeological past, featuring artifacts found in the area, an interactive game, and a video on flint knapping. More than 100 students participated in a hands-on "Mini Dig" activity, part of extensive educational programming developed to accompany the exhibit. Curated by Trevor Osmond, and organized in collaboration with Kaaren Dannenmann, Cultural Advisor, Lakehead University Department of Anthropology, Red Lake Indian Friendship Centre, Ministry of Northern Development and Mines, and Ministry of Natural Resources. The Wilderness Arts Council, in collaboration with the Thunder Bay Art Gallery and Red Lake Regional Heritage Centre, present this juried art show featuring the work of 36 talented local and regional artists and their creative interpretations on the theme "Beginnings." 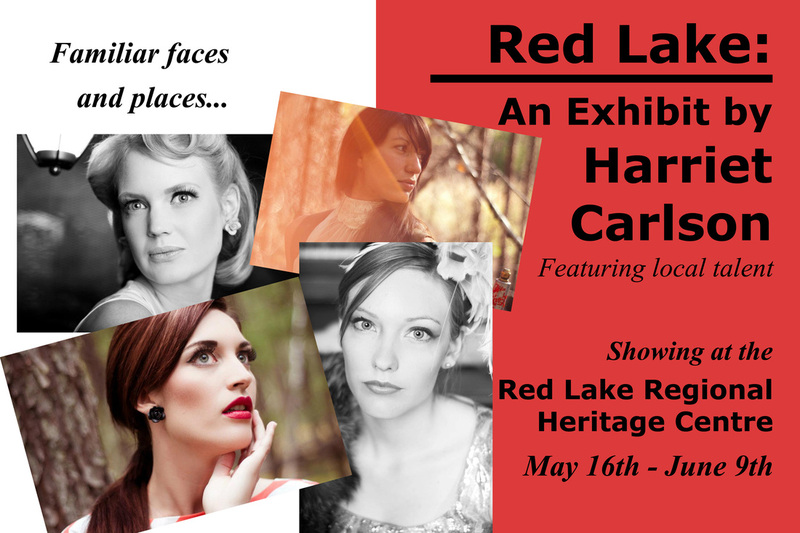 Collaborating with local seamstress Alison Trow; Make up and hair stylists all from Red Lake, the talented Harriet Carlson creates stunning fashion photography with a sense of humour and community pride of Red Lake's very own models and friends. This exhibit had a record attendance of 220 people at the opening reception. 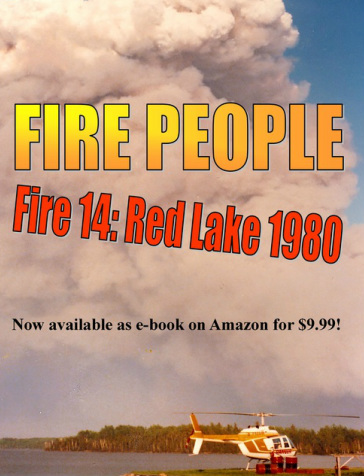 Fire People "Fire 14: Red Lake 1980"
Red Lake Fire #14, which began on May 21, 1980, was a massive forest fire that threatened the Red Lake area, resulting in nearly 4,000 people being evacuated by military aircraft to Winnipeg. To this day, most local residents who lived through this ordeal still have vivid memories of the experience. Depending on their perspective at the time, they describe it as one of the most exciting or most traumatic events of their lives. In 2010, the Heritage Centre, in collaboration with the Ministry of Natural Resources and the Red Lake Legion, organized an exhibition to mark the 30th anniversary of Fire 14. The project involved producing a documentary DVD featuring archival images and interviews with people who worked on the fire and others who lived in Red Lake at the time. A book (now ebook) was published featuring recollections by 30 individuals, ranging from the crew leader who conducted the initial attack on the fire to a young mother who was terrified of being separated from her four children during the airlift. Reproductions of news articles, a timeline of the fire, and detailed coloured maps showing the day by day progress of the fire, are included in the publication. 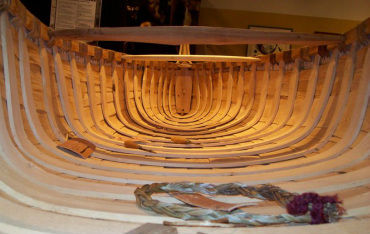 With the vision of Kaaren Dannenmann and support of a dedicated team of volunteer organizers, the Trout Lake canoe inspired Celebrating the Canoe: Honouring the Original Technicians, a week long exhibit and educational tour at the Red Lake Regional Heritage Centre. The Whitefeather Forest Research Cooperative was established with the purpose of working with Pikangikum Elders to carry out community-based research and documentation in support of the Whitefeather Forest Initiative. Between 1956 and 1965, Red Lake was the hotbed of fastball in Ontario. Some of the best players in the province lived here, and the caliber of competition attracted teams from across Canada and Northern United States. Can you play fastball? Come work in the mines. 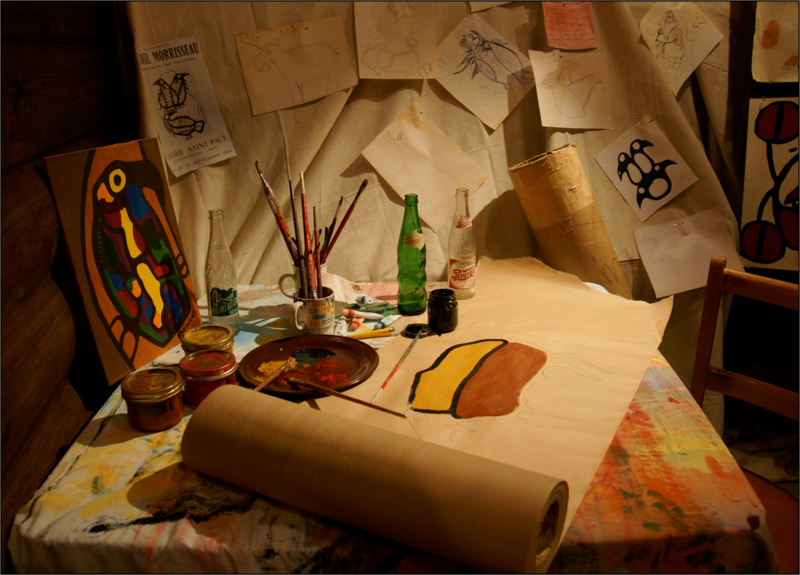 In 2008, the Red Lake Regional Heritage Centre hosted the Woodland Arts Festival: A tribute to Norval Morrisseau and the Woodland artists. The main purpose of the event was to instill pride in Red Lake's rich aboriginal art history and to recognize the aboriginal artists who emerged from the Red Lake area in the 1960s and 70s. 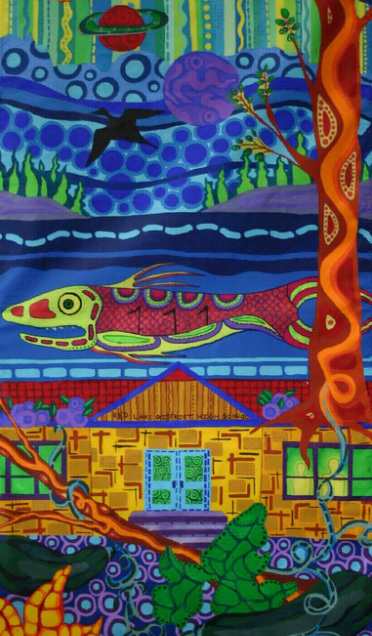 View a dazzling display of individually designed and hand-painted banners completed by local Red Lake artists of various ages, cultural backgrounds and experience. The images showcase many themes, including our rich Aboriginal culture, our magnificent wildlife, and our healthy lifestyle. This project ran for five years between 2004 and 2009. In 2001 this exhibit traveled to the following communities in Manitoba: Leaf Rapids, The Pas, Thompson, Brandon and Winnipeg. It received rave reviews everywhere it went. Here is a reproduction of the catalogue which accompanied the exhibition.